Mary Beth Henry is a Digital Equity/Broadband Advocate. She is the former Director of the City of Portland's Office for Community Technology and Mt Hood Cable Regulatory Commission, where she initiated and oversaw development of Portland's Broadband Strategic Plan and the county-wide Digital Equity Action Plan, which brought together business, community, and governmental partners in the recognition that digital equity and affordable, ubiquitous, next generation broadband internet are essential for the region's future. Most recently she served as a Senior Fellow at the National Digital Inclusion Alliance where she co-wrote Informing Strategic Investment in Digital Equity. She was appointed by the Governor to serve on the Oregon Broadband Advisory Committee Oregon Broadband Advisory Council from 2009-2016. 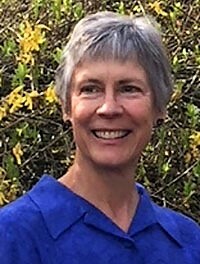 In 2012 she received the League of Oregon Cities prestigious Herman Kehrli Award for exceptional lifetime contributions to city government and for producing lasting benefits for her local community. In recognition of this lifetime achievement award the Portland City Council declared October 17 Mary Beth Henry Day in Portland. She served on the League of Oregon Cities Broadband and Telecommunications Committee for 16 years. She also served on the NATOA Board of Directors for 8 years and as its President in 2009. In 2006 she received the Oregon Connections Excellence in Telecommunications Legislation for her advocacy work in Salem and Washington, D.C. In 2016, she was selected to present a peer-reviewed paper The Digital Livable City at the International Making Cities Livable conference in Rome, Italy. She received NATOA's 2016 Broadband Visionary of the Year and, along with her team, NATOA's Strategic Plan of the Year. She has a passion for collaboration, digital equity, broadband, and Oregon.